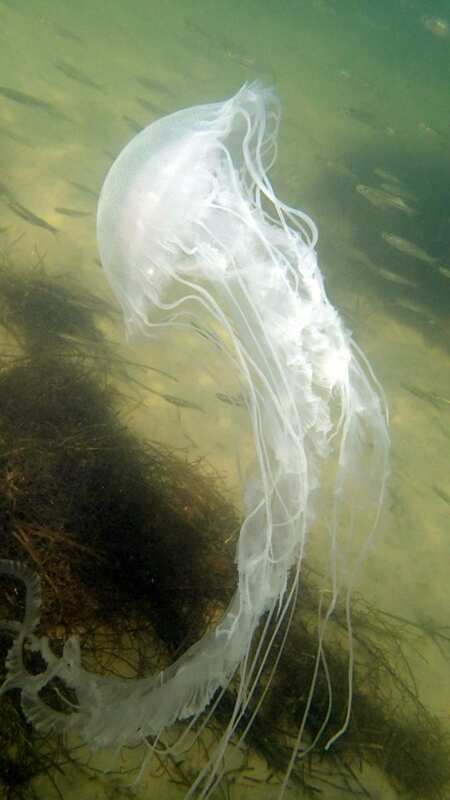 A new, long-term study of how environmental conditions affect the abundance and distribution of jellyfish in the nation's largest estuary helps explain the widely reported scarcity of sea nettles within Chesapeake Bay during the past few months and raises concerns about how a long-term continuation of this trend might harm Bay fisheries as climate continues to warm. Lead author Dr. Joshua Stone conducted the work as part of his dissertation research at William & Mary's Virginia Institute of Marine Science, along with VIMS professors Deborah Steinberg and Mary Fabrizio. Steinberg is an expert in the ecology of jellies and other zooplankton; Fabrizio directs the VIMS Juvenile Fish and Blue Crab Trawl Survey that provided one of the datasets used in the study. The other dataset was a component of the Chesapeake Bay Program. Stone is now an assistant professor at the University of South Carolina. For Chrysaora, a stinging jelly painfully familiar to many Bay enthusiasts, the team confirmed and further quantified a preference for warm, relatively salty waters–recording peak abundances between July and September in waters above 70°, and at salinities of 16 parts per thousand (Bay waters range from near 0 ppt where tributaries enter to around 32 ppt–as salty as the ocean–near the Bay mouth). The bay nettle's preference for saltier water helps explain widespread reports of its scarcity this summer in many of the Chesapeake Bay tributaries it typically inhabits, as freshwater runoff from record rains drastically lowered their salinity. It was particularly wet in May–the rainiest in Richmond since record-taking began there in 1872–just when the nettles' bottom-dwelling life stage begins to bud off its tiny, sensitive, free-floating medusae. For Mnemiopsis, the study provided clear evidence that its populations are controlled as much by biology as by salinity or temperature. "We found that Mnemiopsis populations were primarily controlled by bay nettle predation," says Stone. "They were most abundant in June, during a brief window between waters warming above 65° and the bloom of their bay-nettle predators in July." Salinity also influenced comb jelly distribution and abundance, with peaks in Mnemiopsis volume occurring at values of 6-18 ppt in the upper Bay, and 9-19 ppt in the lower Bay. "Nettle populations in the Bay are controlled by spring conditions," he explains, "with lower salinities like we saw this year leading to lower reproductive rates that generate a lower abundance of bay nettles during summer." Facing less predation due to the scarcity of bay nettles, populations of their comb jelly prey then increase, but not enough to offset the loss of biomass occasioned by decreased abundance of the much larger nettles. But the increase in comb jellies does have an important consequence–a decrease in populations of the copepods that the comb jellies like to eat. Because copepods are a key food source for many young fishes and other Bay organisms, a drop in their populations can send harmful ripples up the food web. This all leads to the authors' concern that climate change–which is projected to increase the prevalence of wet springs in the mid-Atlantic–will more often set this troubling food-web cascade in motion. Wetter, warmer springs would also increase the prevalence of low-oxygen bottom waters in the Bay, which the researchers found to be another contributor to lower reproductive rates among bay nettles. "Predicted future increases in spring streamflow and spring hypoxia due to global climate change would further decrease bay-nettle abundance," says Stone, "possibly allowing for future increase in comb jelly populations and concurrent decreases in the number of copepods. That's troubling, because copepods are a major pathway for transferring food energy from phytoplankton to commercial finfish, especially through the bay anchovy." The researchers fear these food-web effects could be as severe as those observed recently in other areas of the world. "Our native comb jelly was introduced to the Caspian and Black Seas, where it didn't have predators, became invasive, and contributed to the crash of several fisheries," says Stone. "It has a natural predator here, the bay nettle, but fewer bay nettles leads to more comb jellies. Bay nettle populations are already at a lower level due to increases in hypoxia and other factors, and we can't afford to find out how detrimental further declines in their populations would be to Bay fisheries." Ironically, the Bay's increasing prevalence of low-oxygen waters may actually temper the effects of this unwelcome scenario. "In Chesapeake Bay," says Stone, "increases in hypoxia may help keep comb jellies away from their prey, because copepods and larval fish avoid these zones, while the comb jellies do not." "Even so," he says, "continued decreases in bay nettle populations due to climate change may have wide-ranging impacts throughout the Chesapeake Bay's food web. Even though we don't like getting stung by jellyfish, they are an important and natural part of the Bay ecosystem."